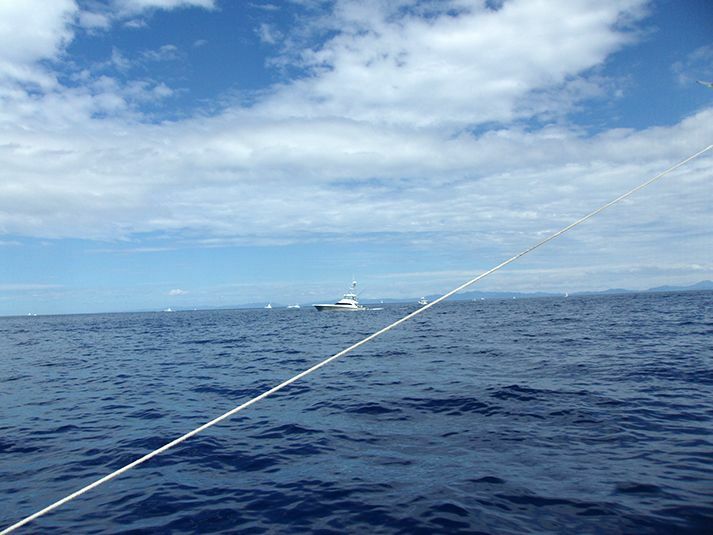 It’s no secret that Nosara enjoys the closest proximity to the blue water in all of Costa Rica. 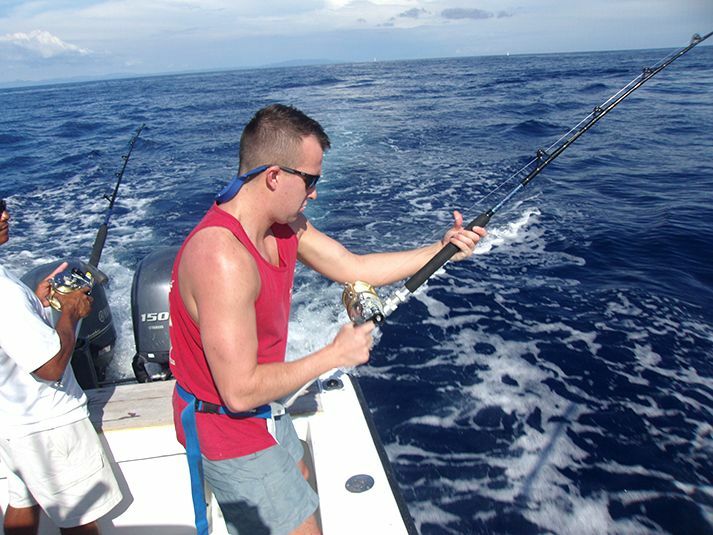 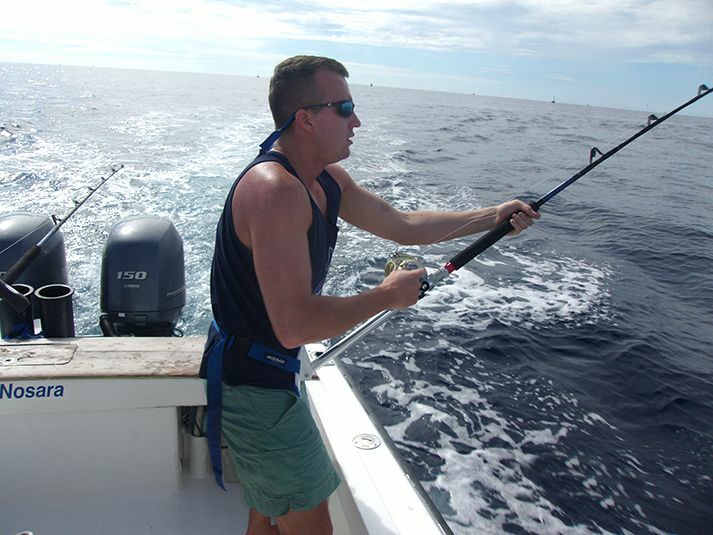 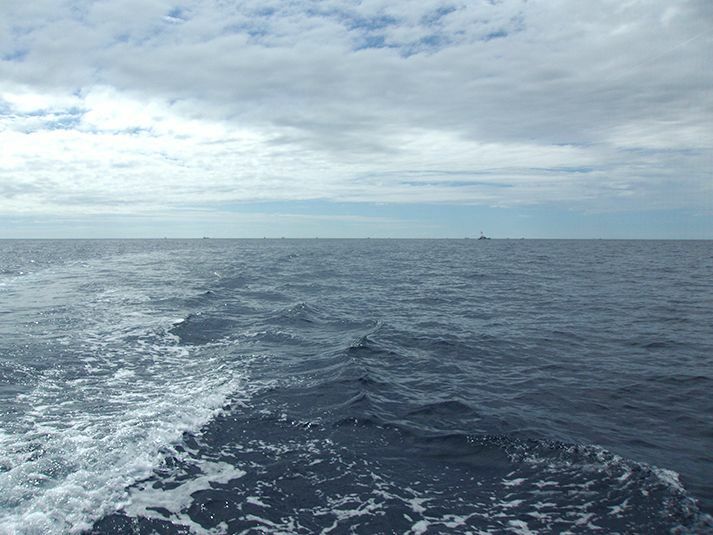 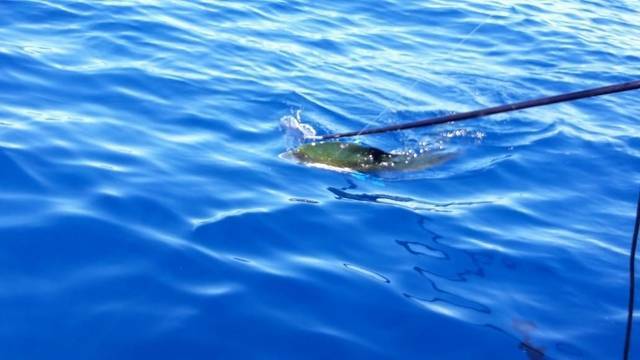 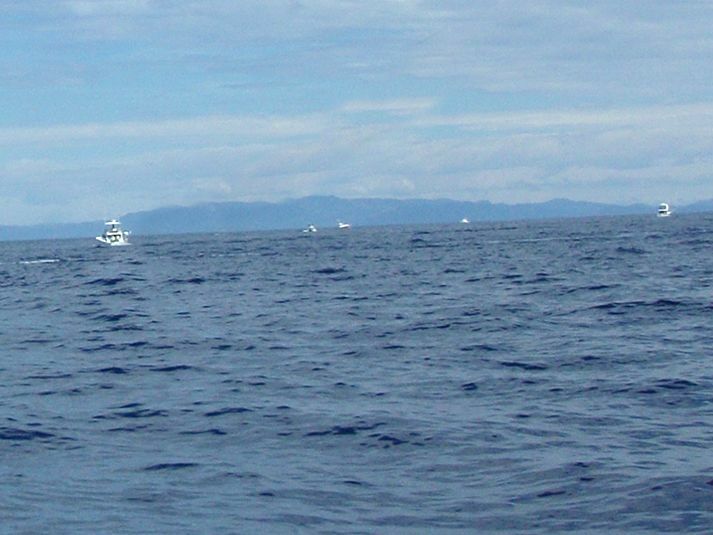 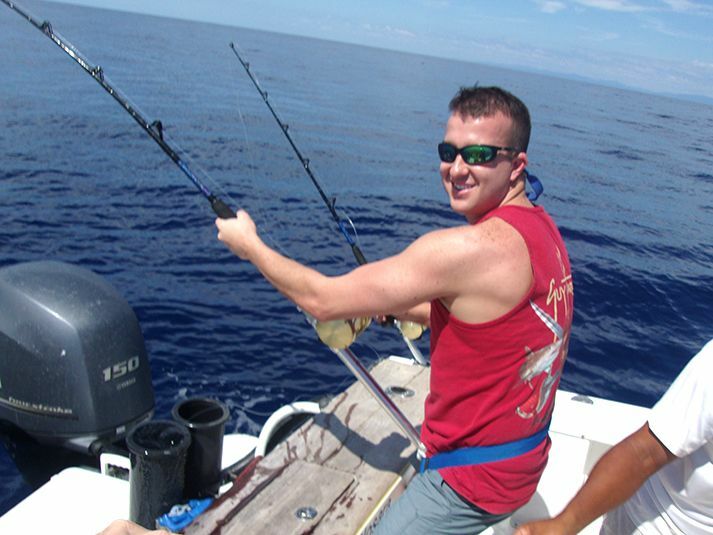 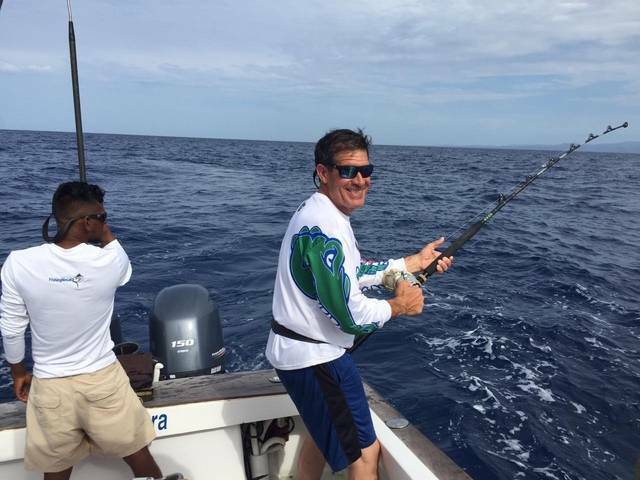 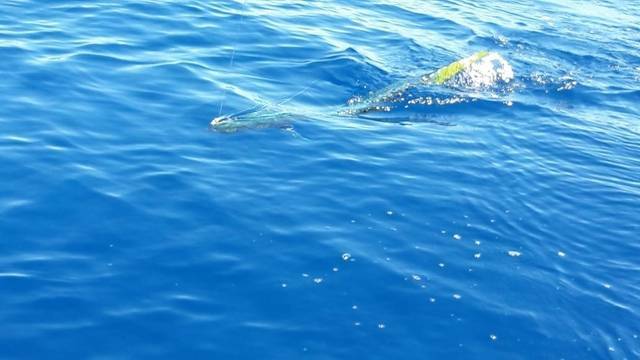 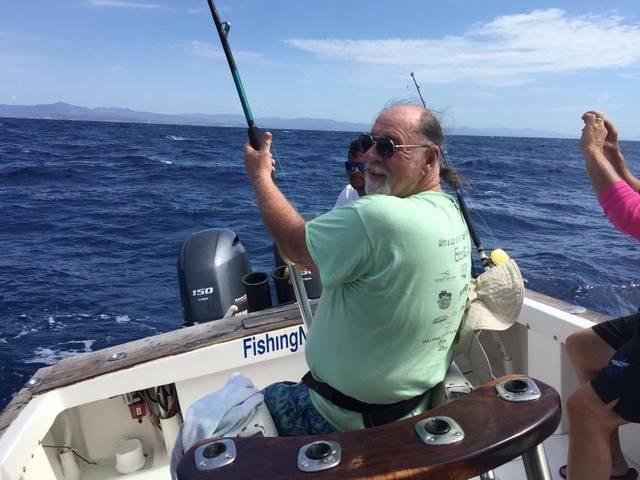 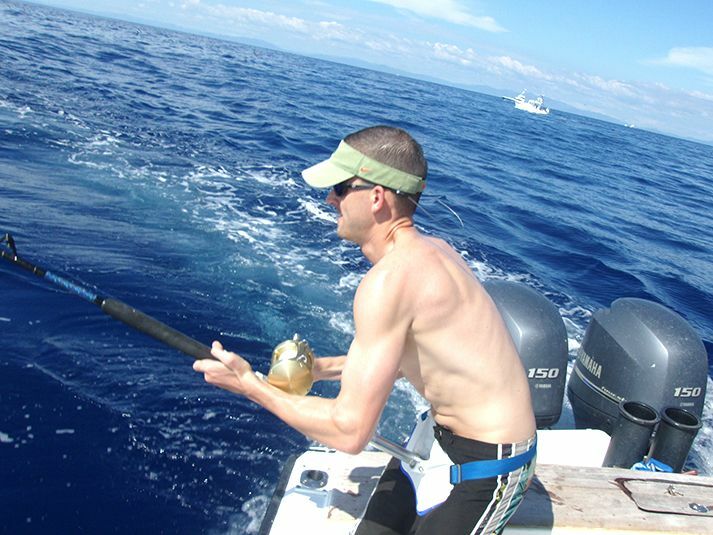 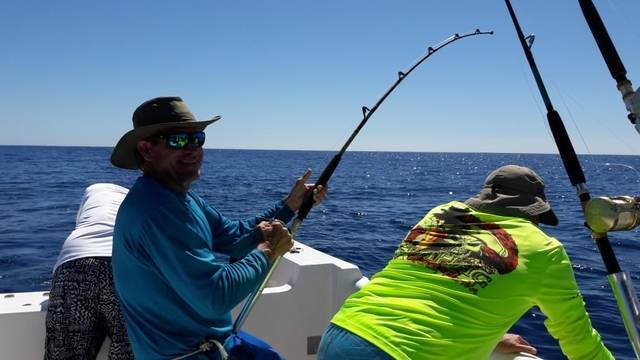 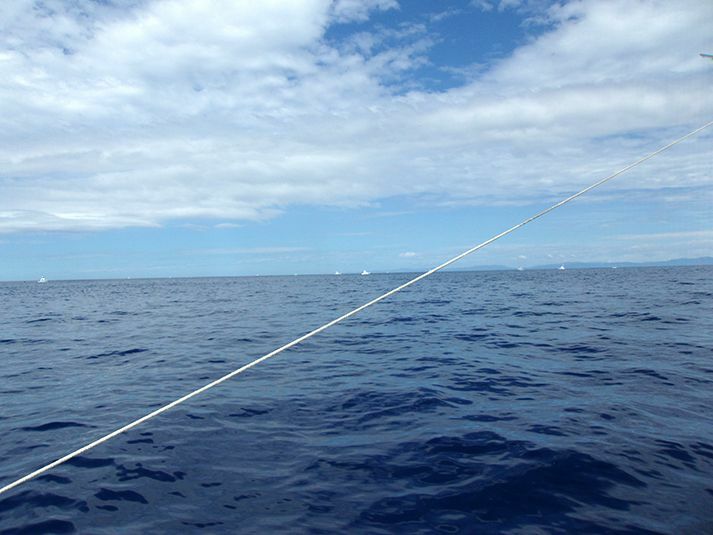 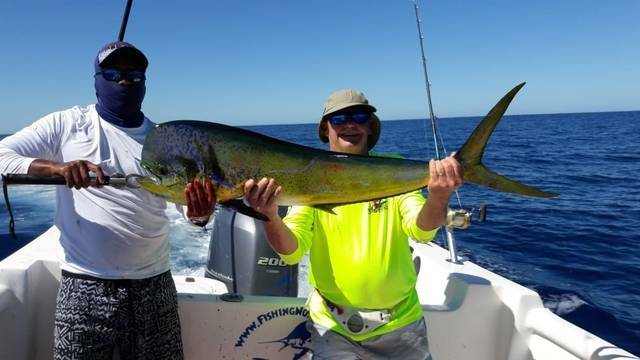 It may surprise you to learn that our specific stretch of ocean is so fertile and untouched that (when the money is on the line) million-dollar sportfishing teams make the trek from Los Suenos to try to score in our backyard. 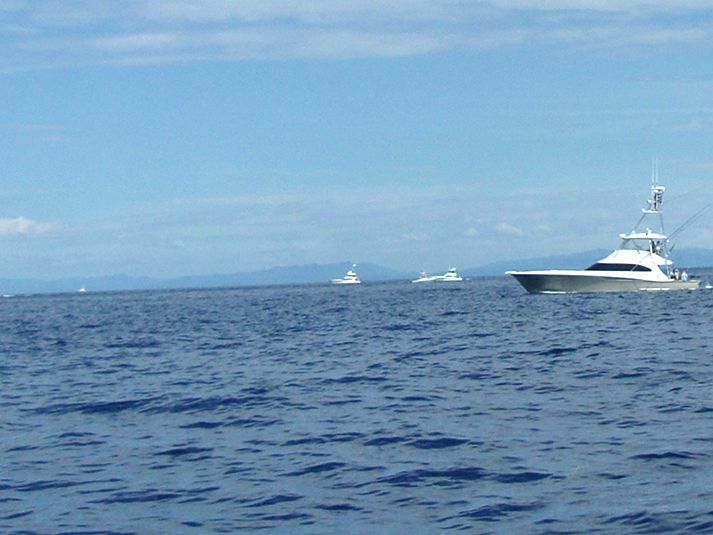 Think that all this competition would mean tough times for the flagship Wanderer? 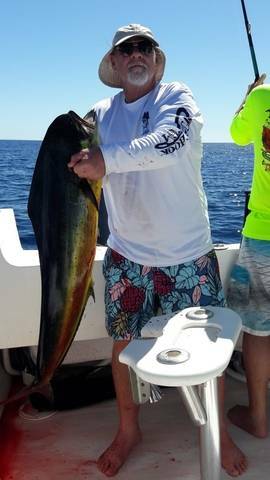 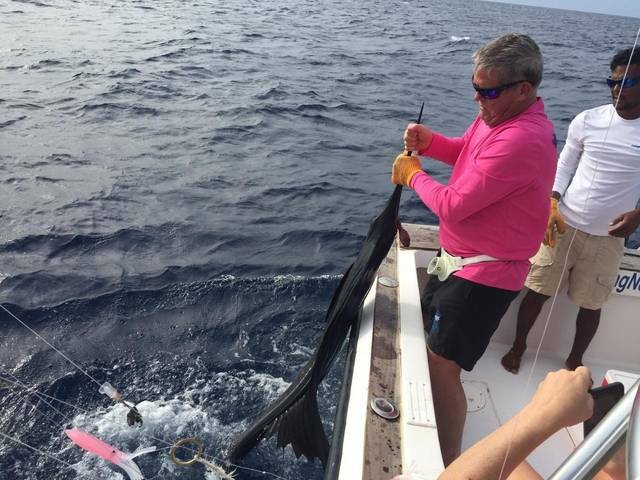 The Hogan Family scored like they were the only boat on the water, boasting multiple Sailfish releases backed up by big Dorados. 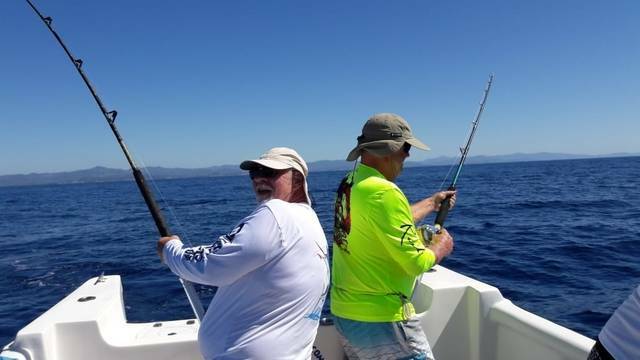 Got to admit it’s pretty cool watching Captain William and First Mate Alex fish circles around these so-called pros…just cause you got a big boat and money to burn doesn’t mean your a master! 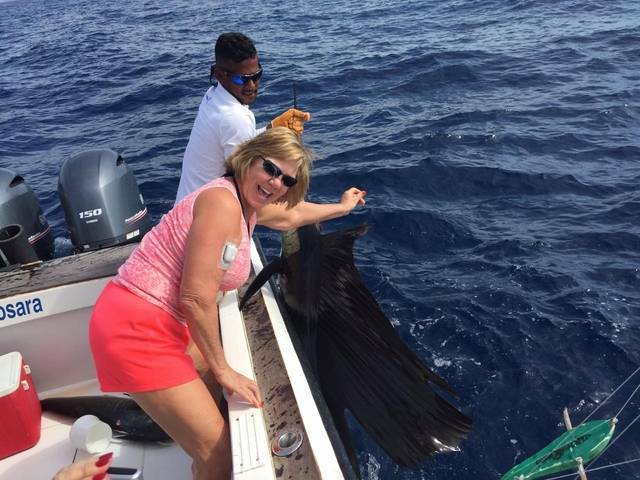 Becky Hogan is one tough-as-nails angler from Northeast Florida, and on her past trips with us she has scored big on Sailfish and Marlin. 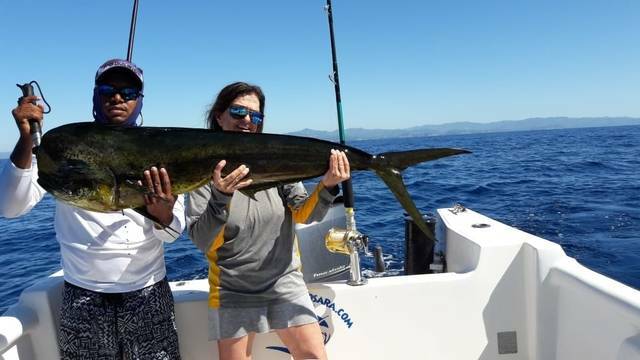 This year she brought her whole family down for the adventure, including her two son’s whose military schedules required that this trip be planned far in advance. 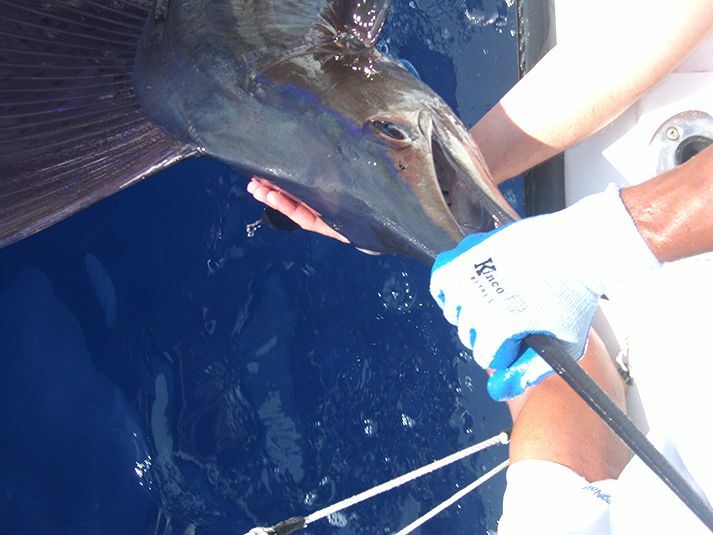 Captain William set course for Sailfish City and immediately the Hogan family snagged the first of five pez velas. 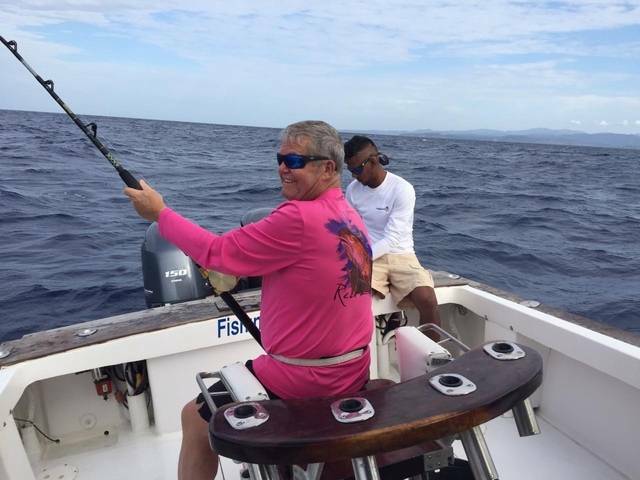 Safe releases all around by First Mate Alex. 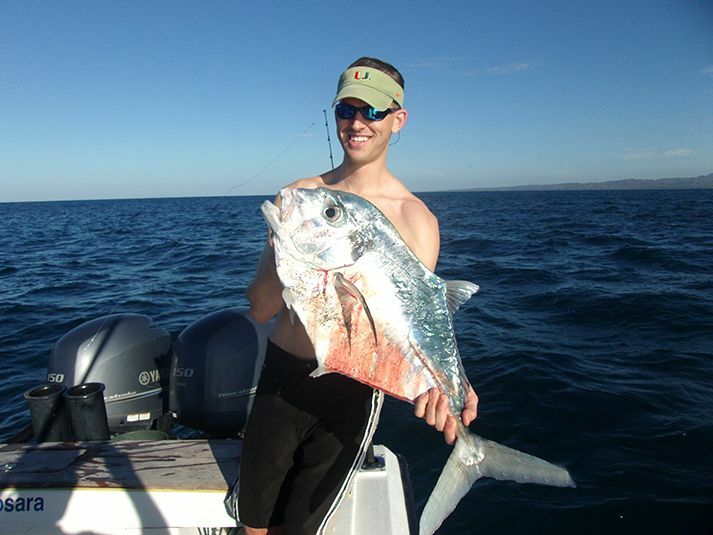 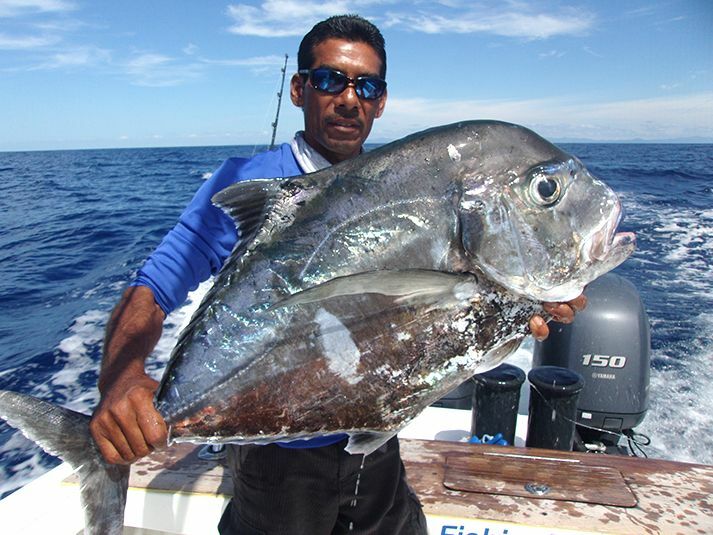 Seriously, we usually don’t even include this species in our fishing report because of their relative abundance but this manhole-cover sized beast will make enough ceviche to feed a village! 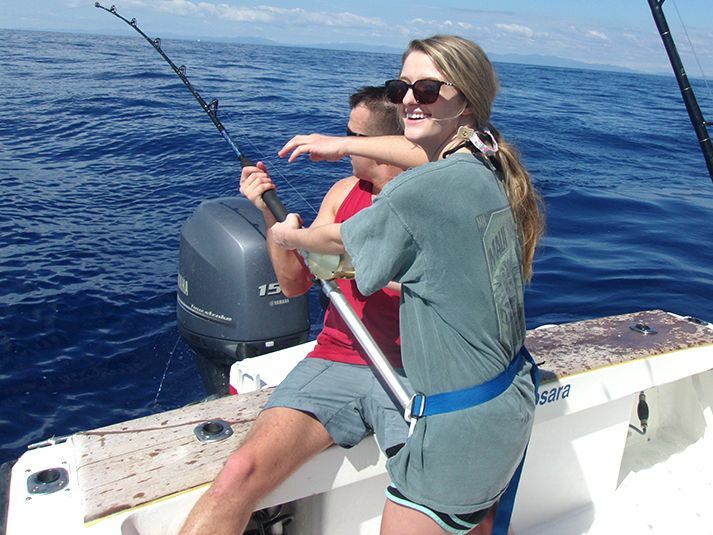 Becky and Andy Hogan just won’t give these fish a break! 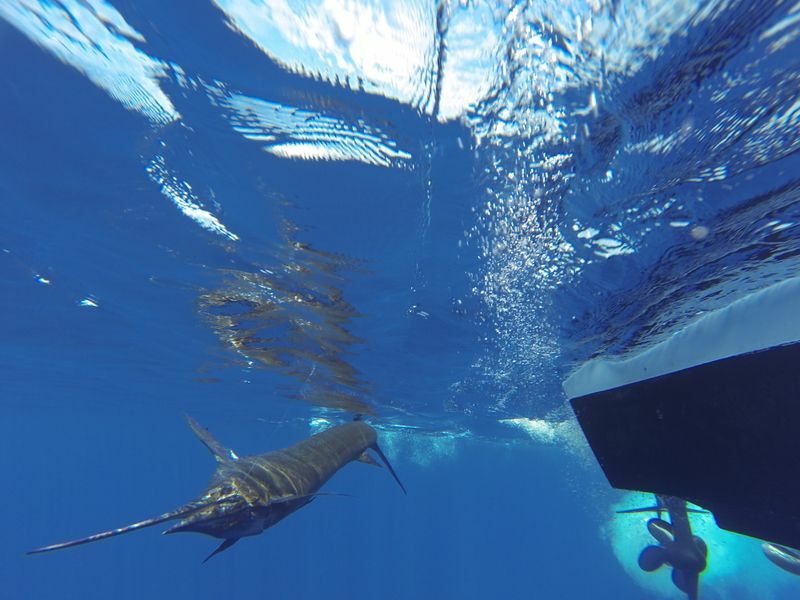 After shattering expectations with her six billfish release day on the Wanderer, she and her group were back on the blue bomber for another run at the offshore game. 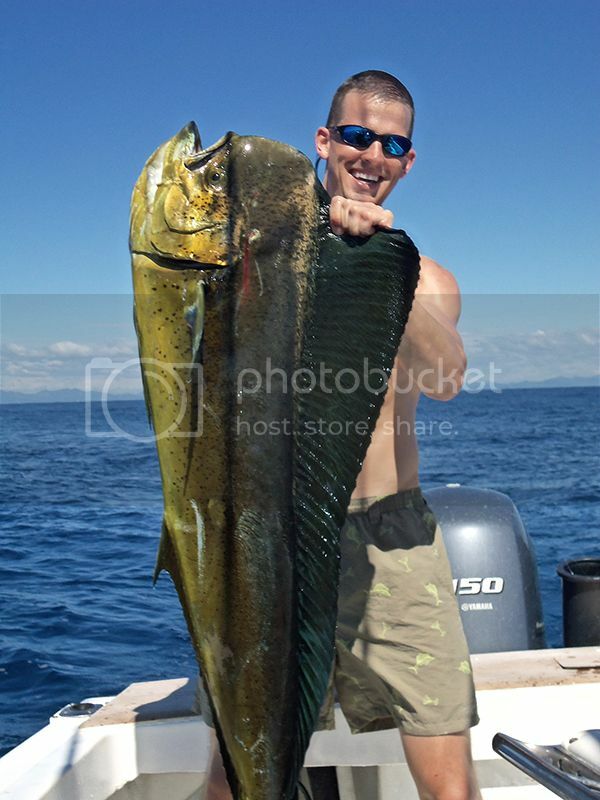 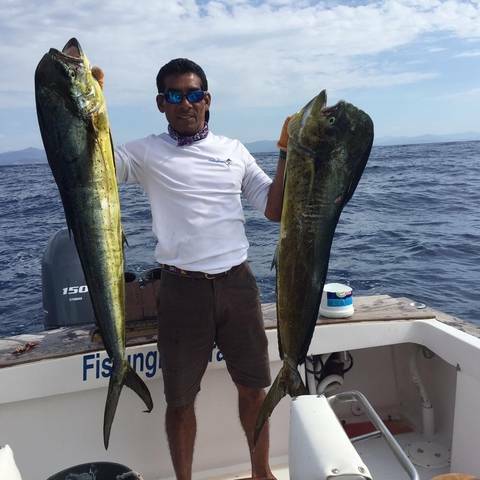 Young Andy just graduated from Med School and is about to begin his internship, and on this fishing day the waiting room was stacked up with Dorados. 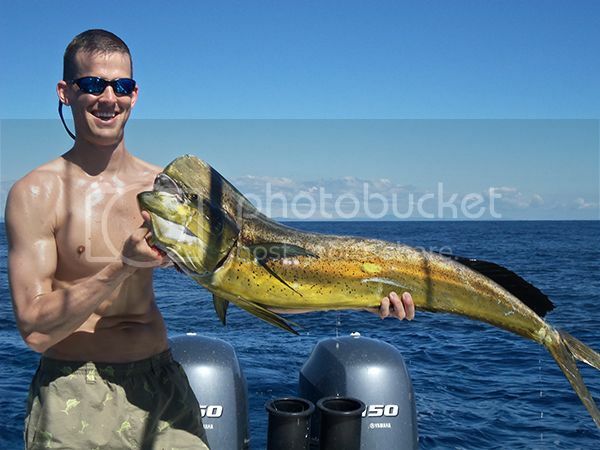 These Northeast Floridians put three in the box with the largest tipping the scales over 30lb. 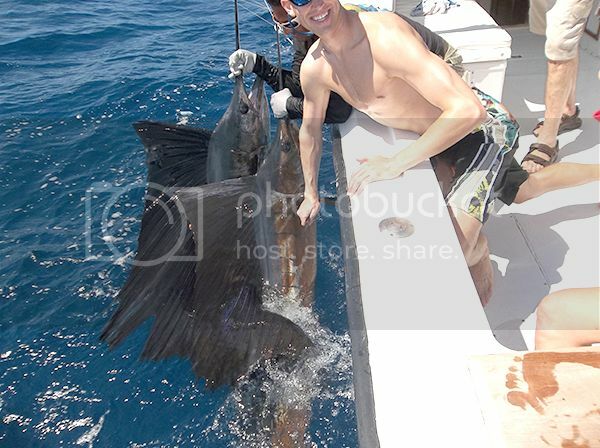 They also hooked up a 90lbs. 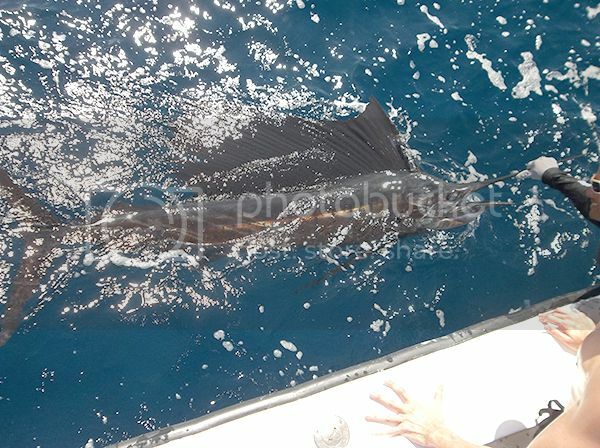 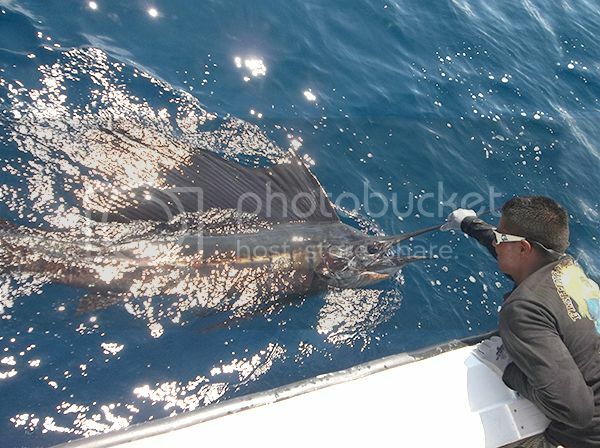 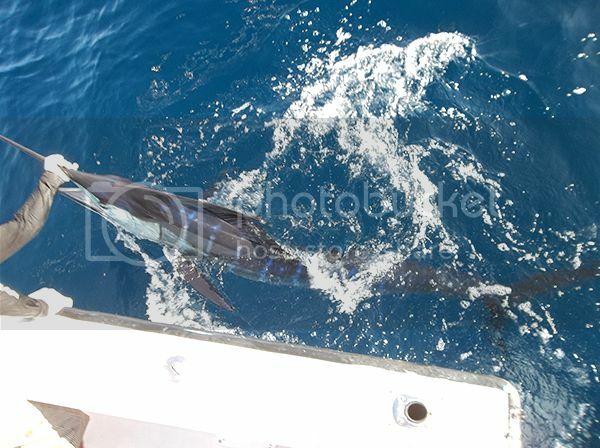 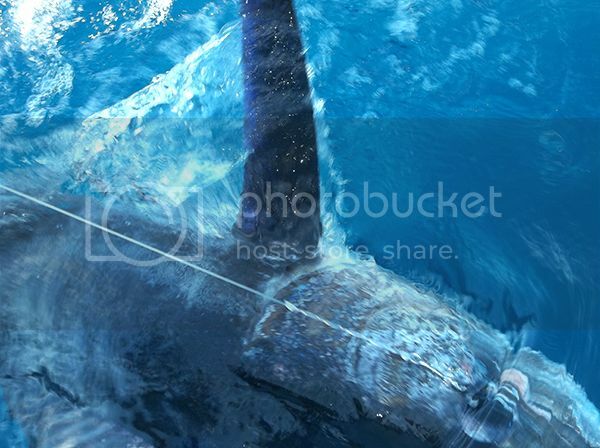 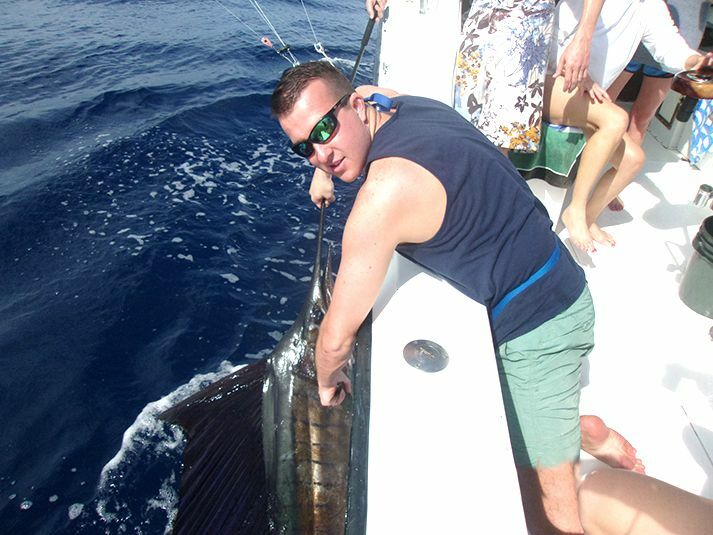 Pacific Sailfish and once again released her after a vigorous 15 minute battle. 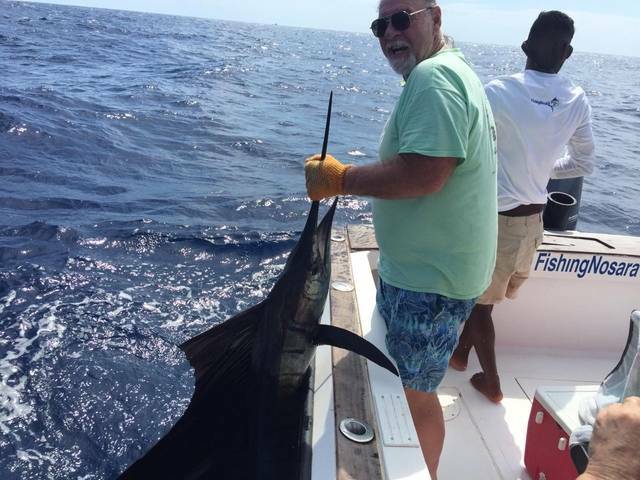 Andy already fulfilled his bucket list with the Sailfish and Marlin releases on the 18th, so when this beast came calling he felt confident in performing the release himself. 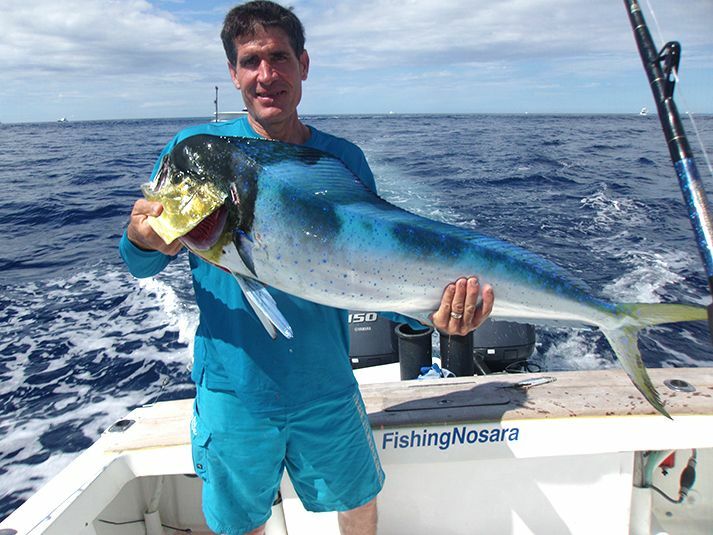 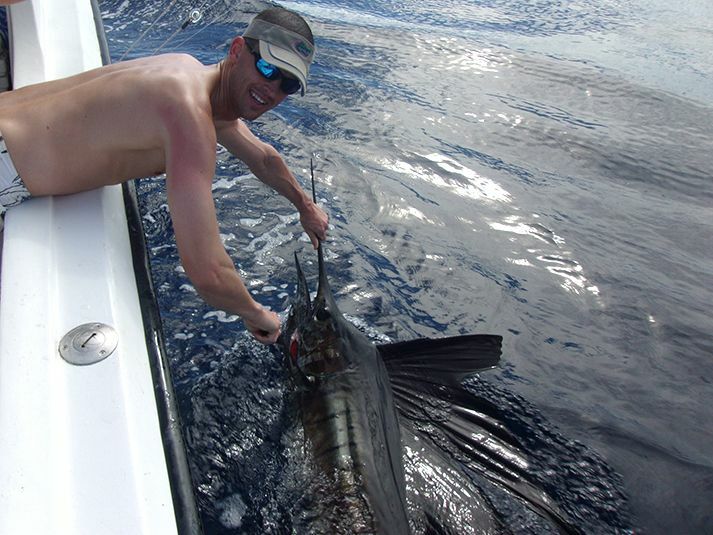 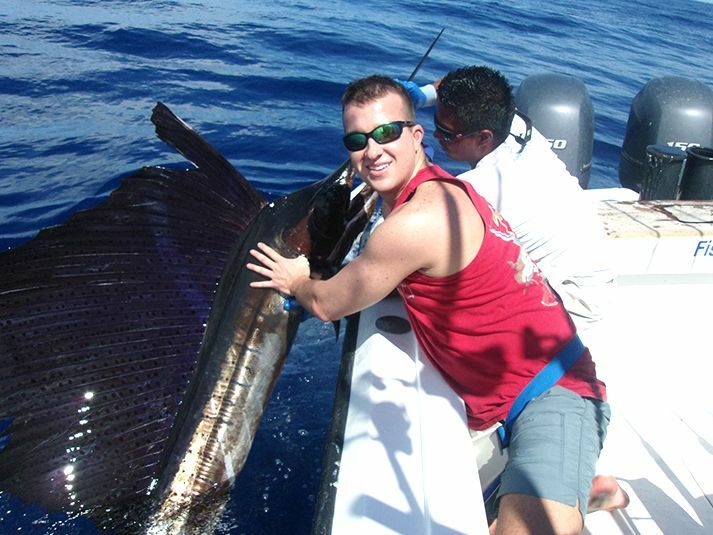 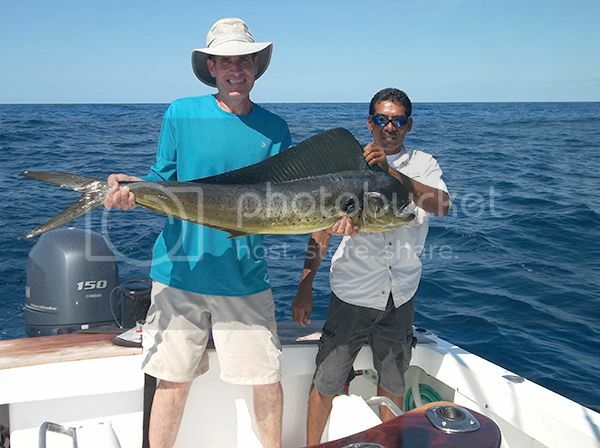 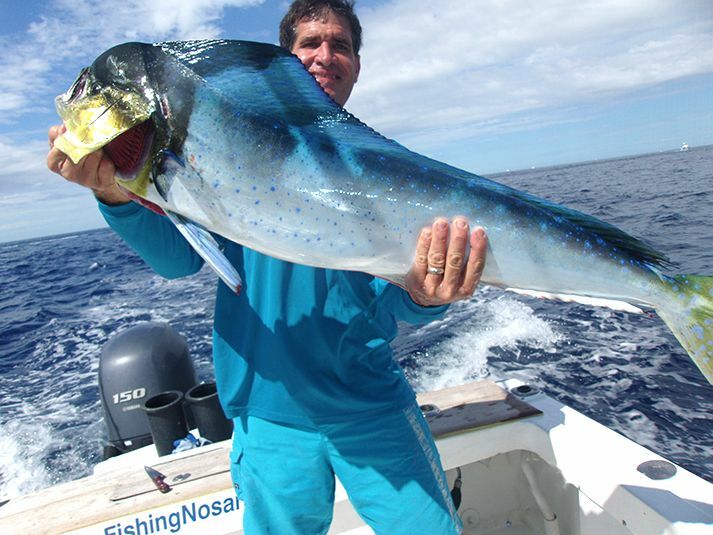 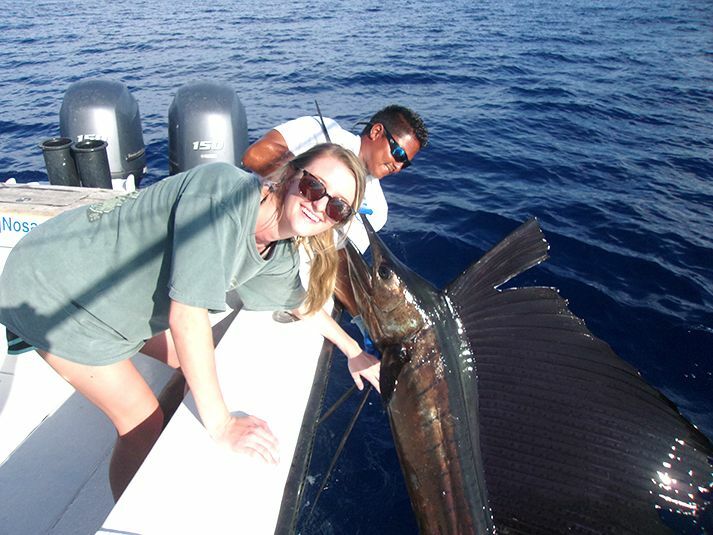 From hoping to see a billfish to handling a release…that’s quite a turnaround in only 3 days. 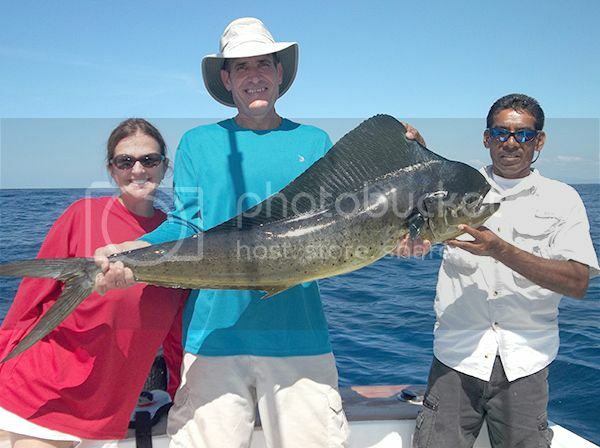 Incredible fishing performances by Becky Hogan, Andy, and the mighty Wanderer. 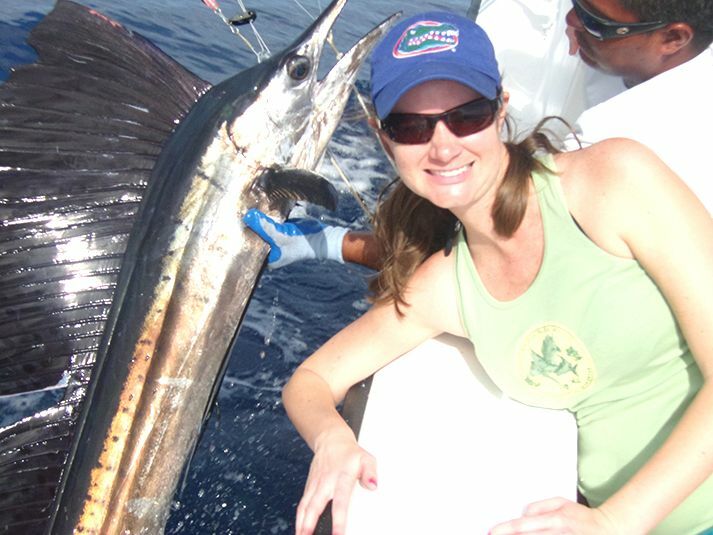 Becky Hogan is famous in Jacksonville for running the legendary charter vessel The Mayport Princess, but her performance on the Wanderer stands out as one of the great fishing feats our team has ever witnessed. 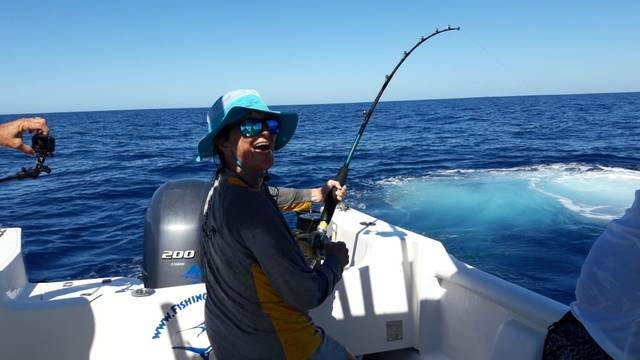 Along with her family and the crew, Ms. Hogan laid the smack down on a whole mess of Pacific billfish. 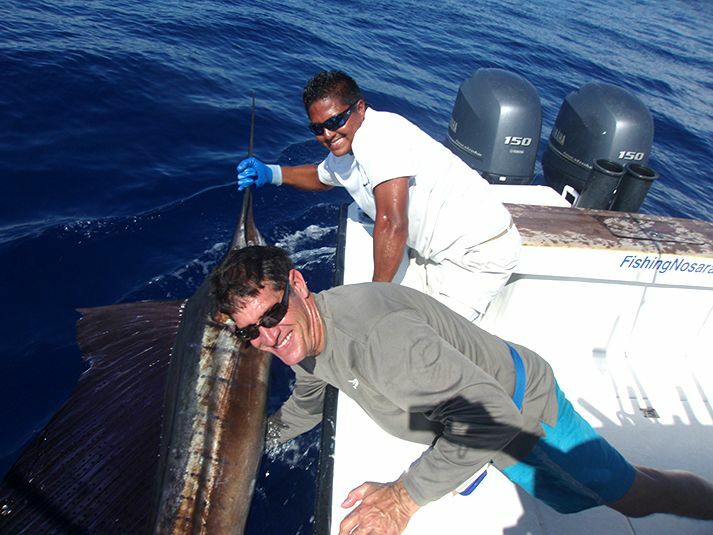 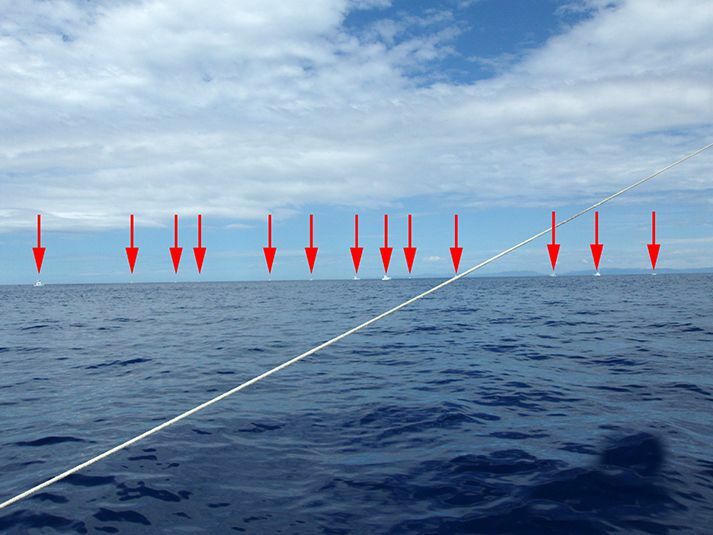 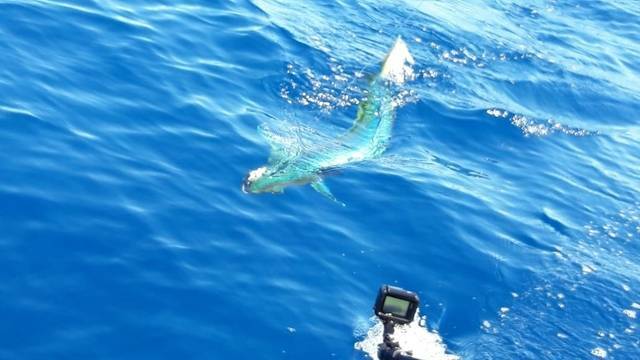 Topping the scorecard is two massive Marlin releases, both Stripeys and both bad to the bone. 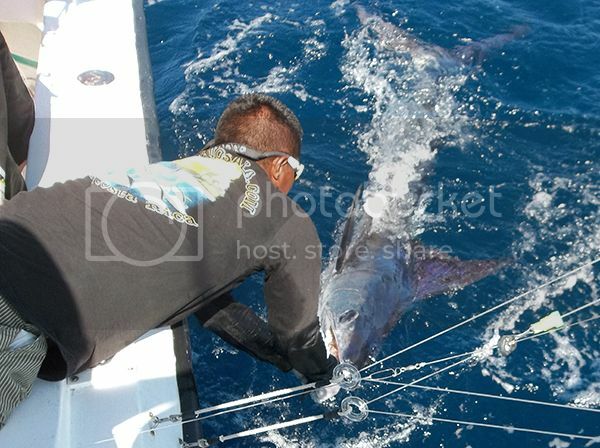 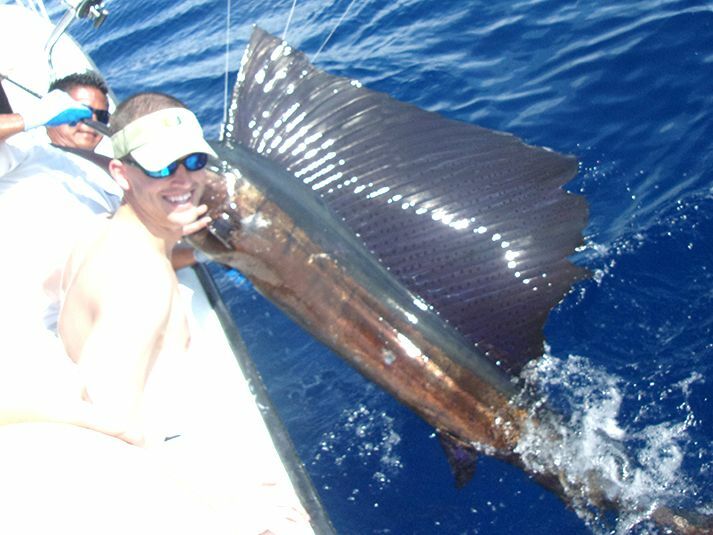 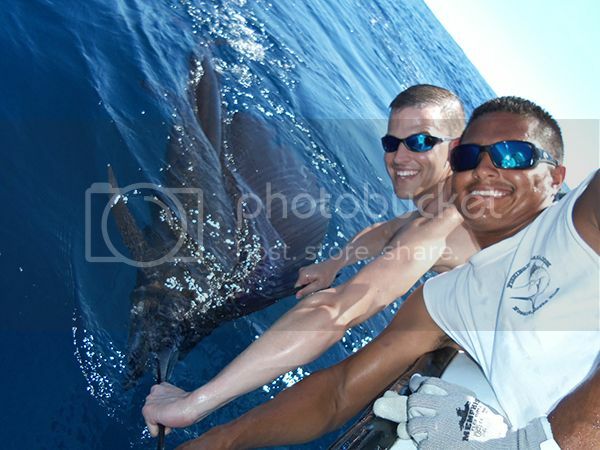 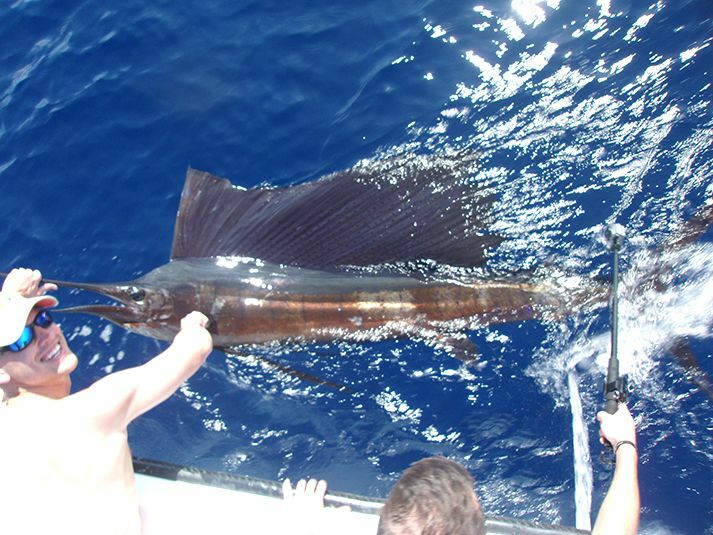 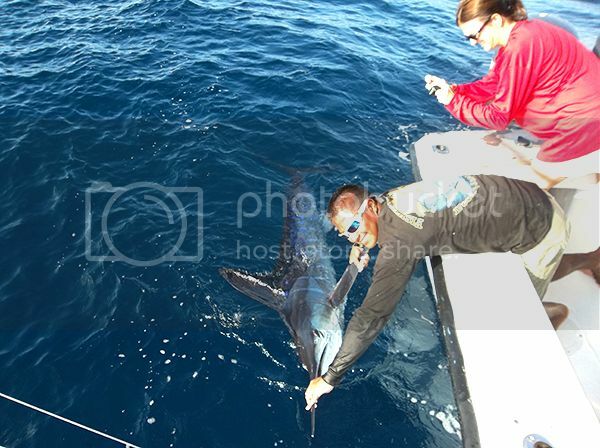 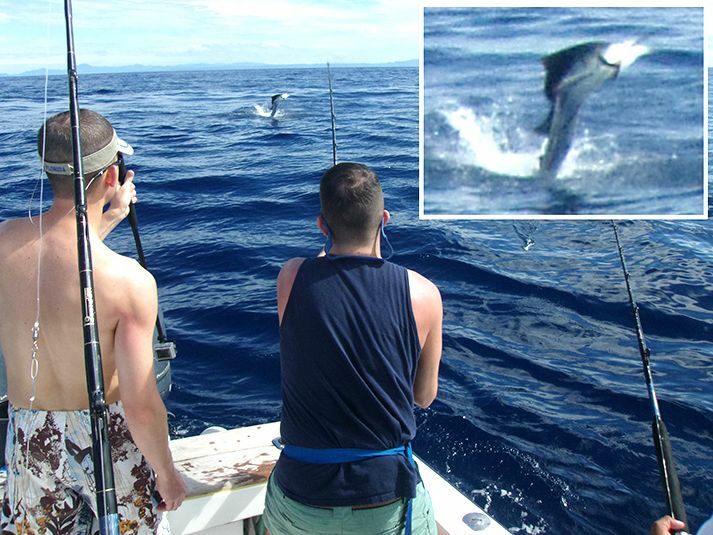 Between Marlin bouts Becky also suplexed four Pacific Sailfish including a awe-inspiring Double Sailfish Release. 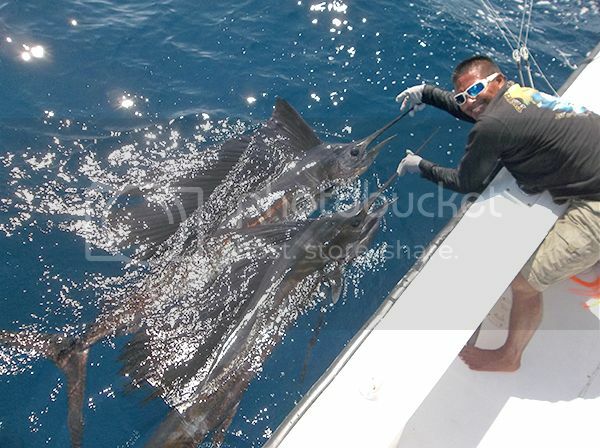 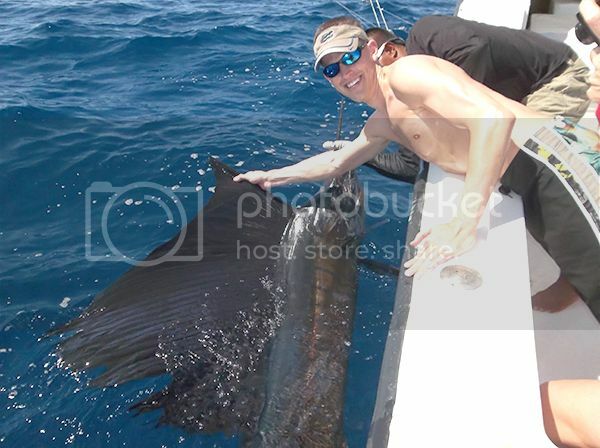 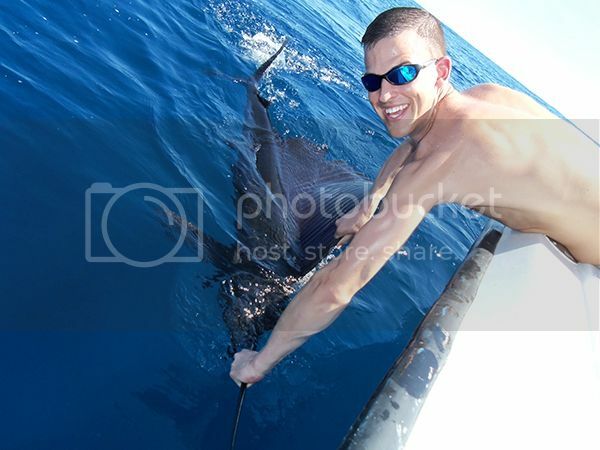 Amazing work by First Mate Alex to safely handle and release all of these wonderful billfish. 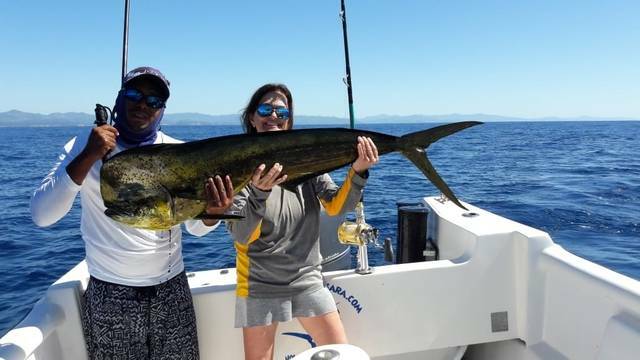 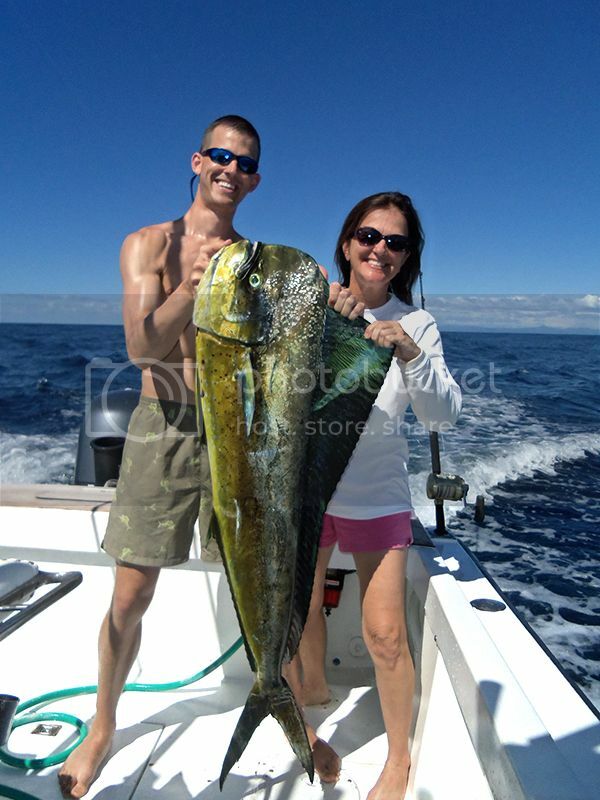 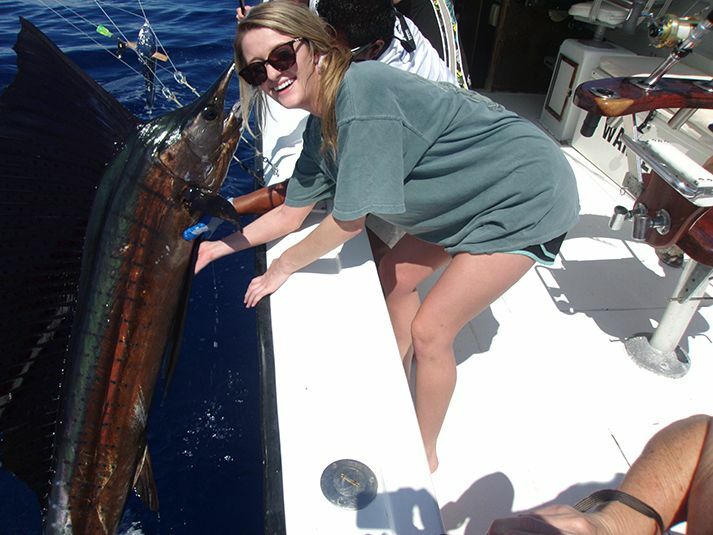 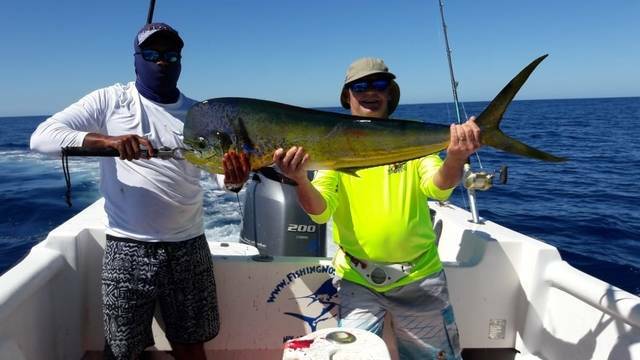 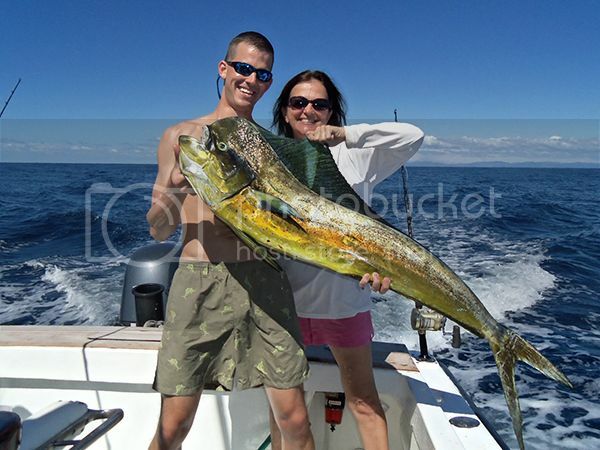 Now don’t go thinking that these anglers went away hungry…Becky and the boys backed up the trophy releases with seven Dorados ranging between 20lbs. 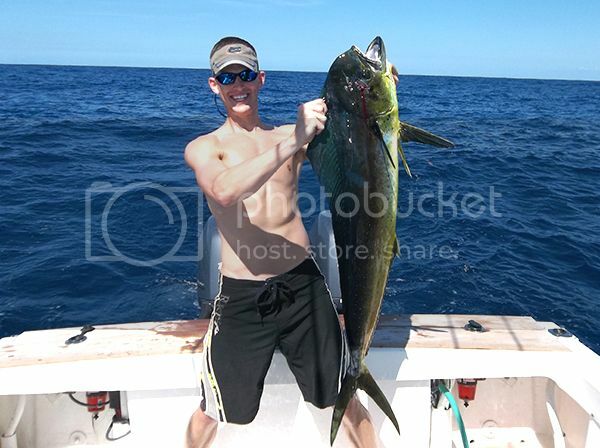 – 30lbs. 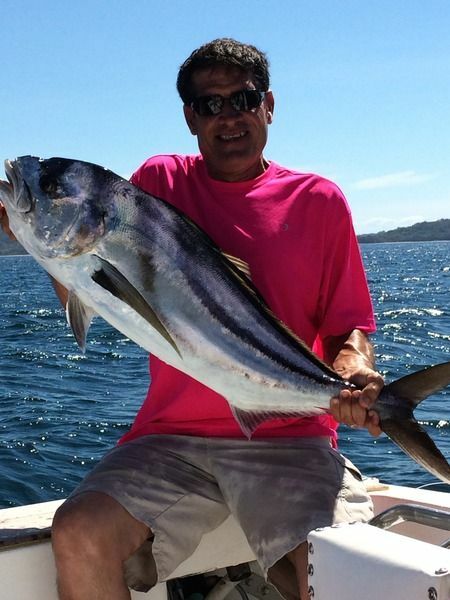 That’s a legendary performance from a legendary Jacksonville angler!